In very good used condition however shelf wear and bumps to edges of cover. Slight folding to pages and corners. Markings to cover. NO CD INCLUDED IN BOOK. Very Good. 0007141939 ALL BOOKS SHIPPED WITHIN 1 DAY OF PURCHASE! Very Good. 000171306X ALL BOOKS SHIPPED WITHIN 1 DAY OF PURCHASE! 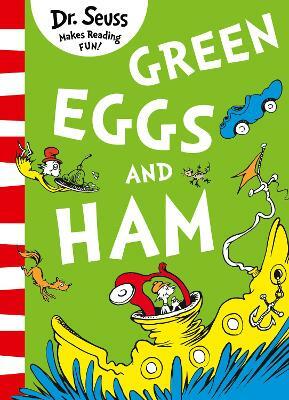 Green Eggs and Ham is a long-time classic for children! Every child should have this book! Totally love this. My kids end up in stitches when I read it aloud. Seuss is rich because of Green Eggs and Ham, which earned him the reputation of a writer with an easy manner and comic touch. He's the best.